CJM Attachments operates in a constantly changing field of hydraulics and metal fabrication. Chris Monk owner/operator has been in the steel manufacturing business for the past 22 years with experience and expertise to bring a concept on paper into a fully operational and productive piece of machinery that complies with all regulatory requirements. CJM Attachments has been at its current site in Swan Hill, Victoria for the past 10 years. We offer quality trained staff and invest in modern machinery and technology to insure we are in a prime position to expand in the constantly evolving world of metal manufacturing. The team at CJM Attachments allows for the focus to be personalised to meet the customer requirements, irrespective of it being a one off project with special needs or a production of components, our team will make it happen. To keep our customers producing and operational we also provide a fully equipped repair service for steel, aluminium and stainless steel on site or at our workshop. 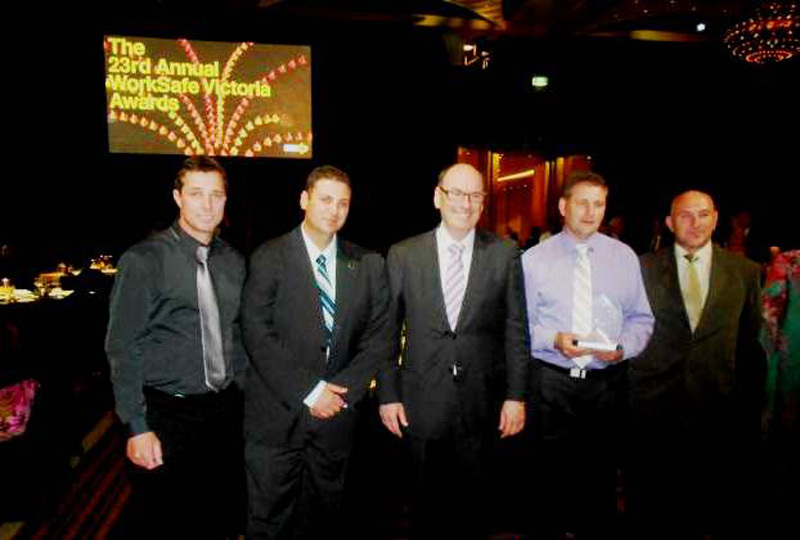 The CJM Team at the Worksafe Awards.